if you buy in a "rural" area. If you’re having trouble saving a down payment, a USDA Rural Development mortgage may be the perfect road to home ownership.  The Single Family Housing Guaranteed Loan Program helps lenders work with low and moderate income families living in rural areas to make homeownership a reality. And many areas that are eligible are actually more suburban than you’d expect. To learn more about this program and how it could help you, please contact us. All dwellings financed must provide decent, safe, and sanitary housing and be modest in size, design, and cost.